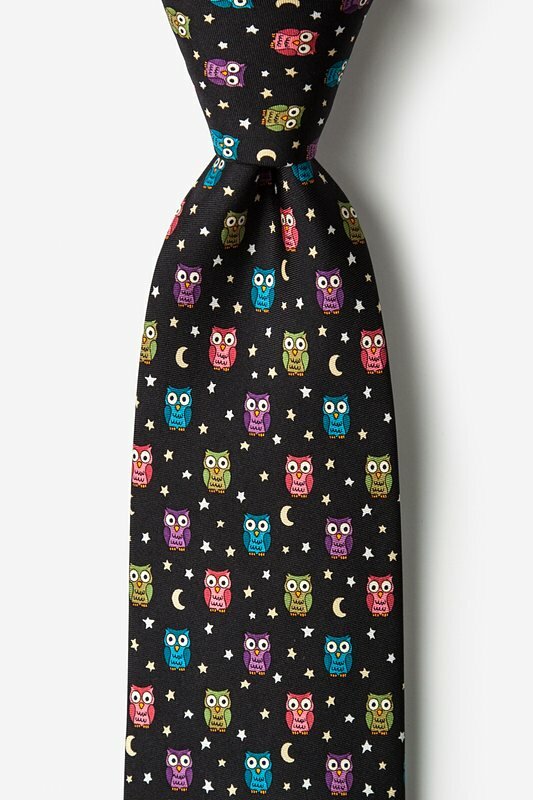 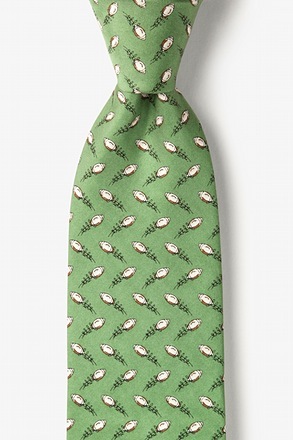 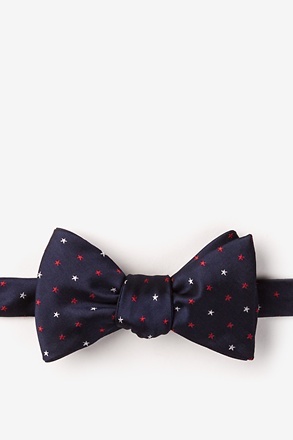 It's all about the after hours crowd with the Night Owl Tie. 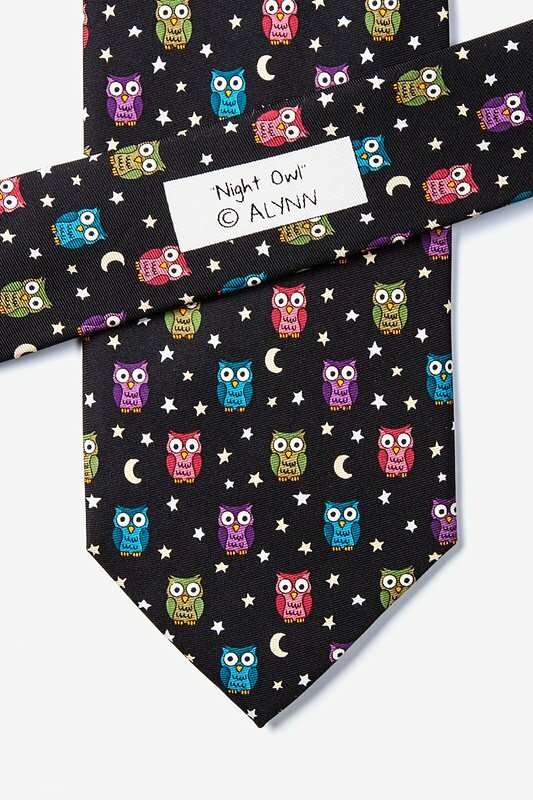 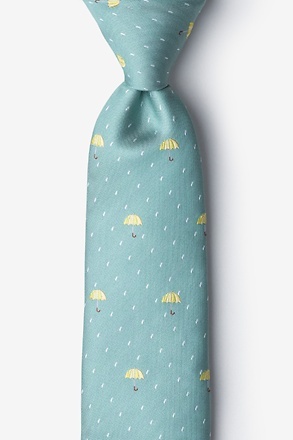 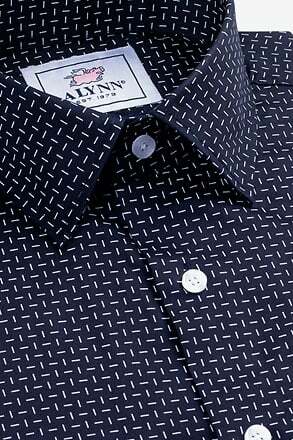 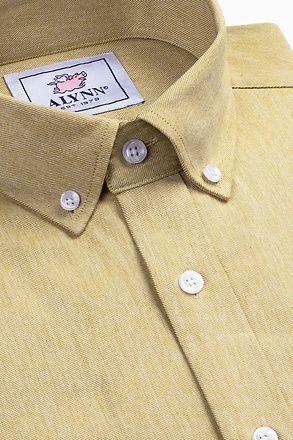 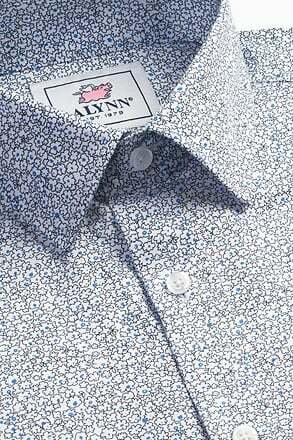 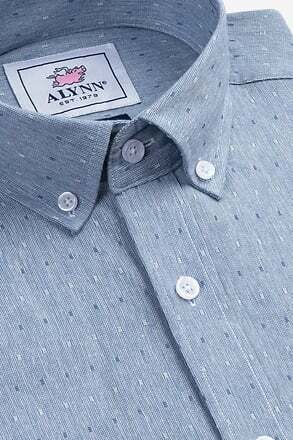 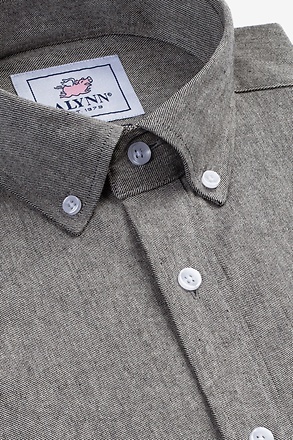 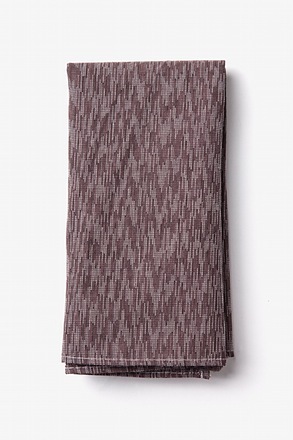 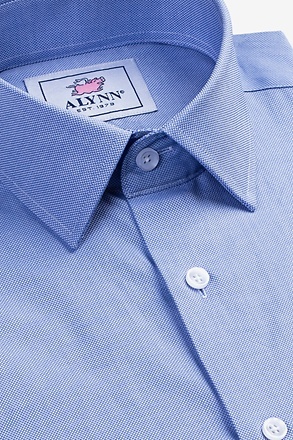 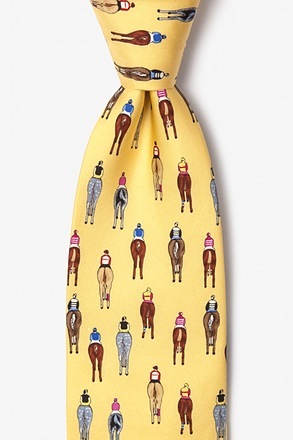 This 100% silk necktie by Alynn Neckwear is for anyone who likes to stay up to greet the sun in style. 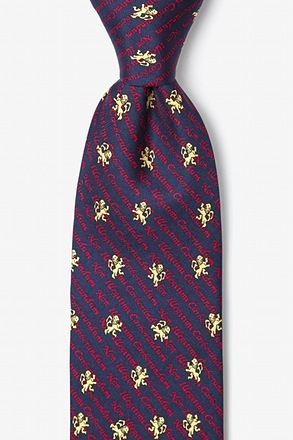 I... read more It's all about the after hours crowd with the Night Owl Tie. 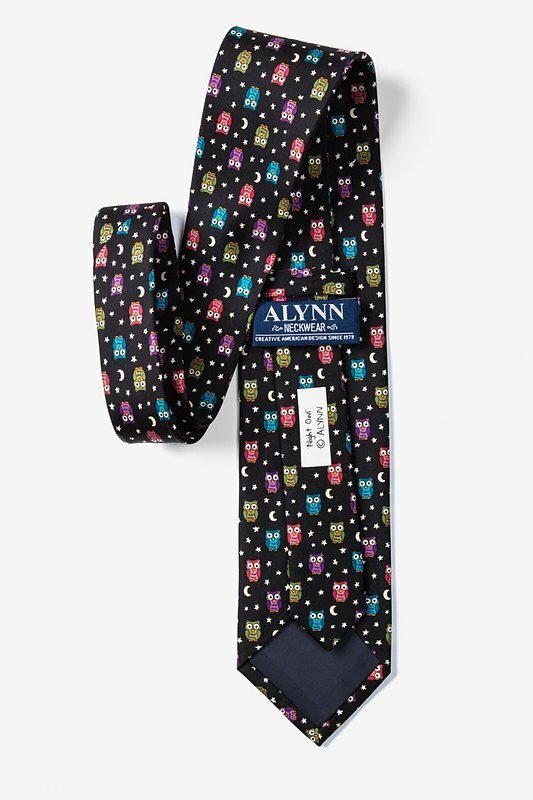 This 100% silk necktie by Alynn Neckwear is for anyone who likes to stay up to greet the sun in style. 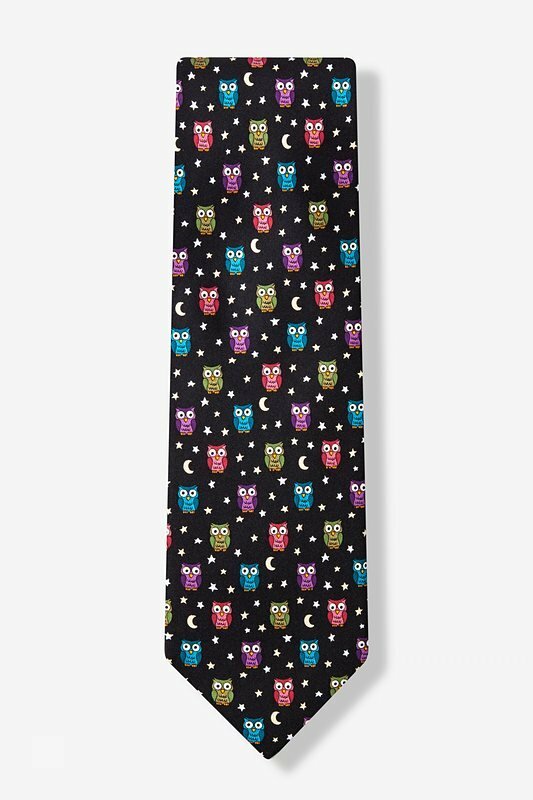 It's colorful owl, moon and stars print on a jet black backing make it the ideal late night accessory.